In 1994, with the support of the Europe Commission, the Foundation for Environmental Education (FEE) launched the Eco-Schools program. Since 2003, the program has been identified by the United Nations Environment Programme (UNEP) as a model initiative for Education for Sustainable Development. 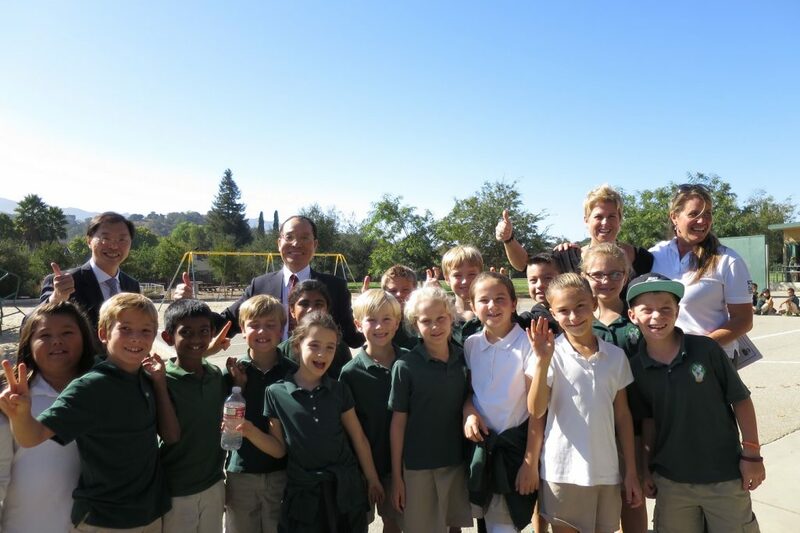 With the effort of the FEE, there are currently over 59 countries worldwide participating in the Eco-Schools program. Although Taiwan is not an official member of the United Nations, under the assistance of National Wildlife Federation (NWF), the USA-Taiwan Eco-Campus Program has started in 2012. 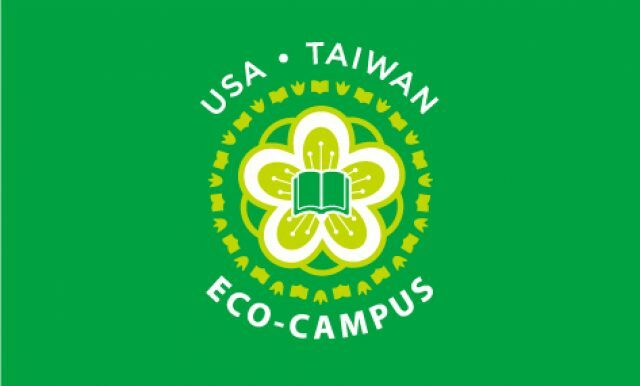 In 2014, Environmental Protection Administration Taiwan (EPAT) Minister Kuo-Yen Wei and U.S.EPA Administrator Gina McCarthy jointly announced the Global Environmental Education Partnership and established the USA-Taiwan Eco-Campus Partnership. 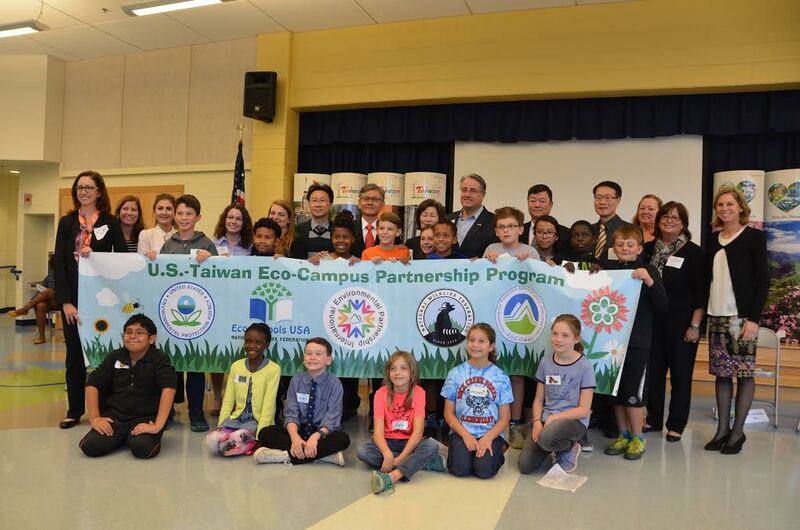 On March 13th 2015, Taiwan Ambassador Lyu-Shun Shen and Principal Deputy Assistant Administrator of U.S. Environmental Protection Agency Jane Nishida attended the Eco-Campus Partnership Project campus exchange at the North Chevy Chase Elementary School in Maryland. The goal is to establish partnerships among 85 schools between Taiwan and the US within three years; in less than a year, 36 schools have been able to find a partner. NWF has identified a variety of areas as primary focus or "pathways" to help schools become Eco-Campus. They are Energy; Water; Climate Change; Transportation; School Grounds; Consumption and Waste; Healthy Living; Healthy Schools; Biodiversity; Sustainable Food. Once a school has implemented these seven steps, it can apply for an Eco-Campus award. There are three levels of awards in the awarding system. The first two levels are Bronze and Silver awards, which are self-assessed. The top level is the Green Flag award, which must be assessed by an Eco-Campus USA assessor and renewed every two years.